“New York in the ’60s” is a memoir series by a longtime New Yorker who moved to the city after college in 1960. From $90/month apartments to working in the real “Mad Men” world, each installment explores the city through the eyes of a spunky, driven female. In the first two pieces we saw how different and similar house hunting was 50 years ago and visited her first apartment on the Upper East Side. Then, we learned about her career at an advertising magazine and accompanied her to Fire Island in the summer. Our character next decided to make the big move downtown, but it wasn’t quite what she expected. She then took us through how the media world reacted to JFK’s assassination, as well as the rise and fall of the tobacco industry, the changing face of print media, and how women were treated in the workplace. Now, she takes us from the March on Washington to her encounter with a now-famous political tragedy that happened right in the Village–the explosion at the Weather Underground house. 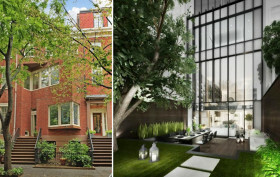 Justin Korsant’s unique Greenwich Village townhouse that so famously suffered from an accidental explosion in 1970 has lowered its price from $13.5 million to $12.95 million. 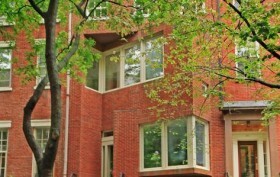 All eyes have been on the unique split level home with a slanted facade since word got out that Korsant had plans to overhaul the local landmark, which was redesigned by Hugh Hardy post-explosion. Instead, Korsant tabbed Hardy’s own modern-day firm, H3 Hardy Collaboration Architecture, to come up with Landmarks-approved plans, which include six floors, a penthouse, and an elevator. Now all you have to do is grab your contractor and make it happen. At a glance, the quirky notched and jutting façade of the townhouse at 18 West 11th Street in Greenwich Village seems to be the only remarkable thing about the building. But dig a little deeper and the address’s rich history tells the tale of a city brimming with wealth and culture – and once even something a bit sinister. Justin Korsant of Long Light Capital recently purchased the home for $9.25 million and has plans to reconstruct it. But will the renovation of this building wipe out its incredible past?